There is endless variety of experience that you can expect from Yogyakarta. Whether you are joining a Jogja sharing tour or private tour, the options of things that you can do is just so numerous. You can enjoy beautiful sunrise, learn Yogyakarta’s amazing culture and more. But, these wonderful things to do that we are going to tell you are not to be missed, for sure. If you are expecting such wonderful experience while you are in Yogyakarta or Jogja, here are some of the things that you shouldn’t miss from your journey. Yogyakarta has several beautiful temples that will be bad to be missed. From enjoying breathtaking sunrise to the wonderful cultural wonders, the temples of Yogyakarta are no doubt the best things to visit in the city. Here, some of the most popular temples that you can visit. • Borobudur Temple: Borobudur is the most famous temples that many people would love to visit. It offers such amazing architecture that you can explore. • Prambanan Temple: Prambanan is another big temple complex that is worth checking for. You can expect for watching Ramayana Ballet too when visiting this temple in the evening. • Ratu Boko: Ratu Boko is a beautiful temple complex that is famous for its breathtaking spot to capture your picture. Visiting this temple for sunset will be a good idea. For you who would love to challenge yourself for a breathtaking experience, hiking some volcanoes that are close to Yogyakarta will be a good choice. Here are some of the most popular volcanoes that you can take into account. 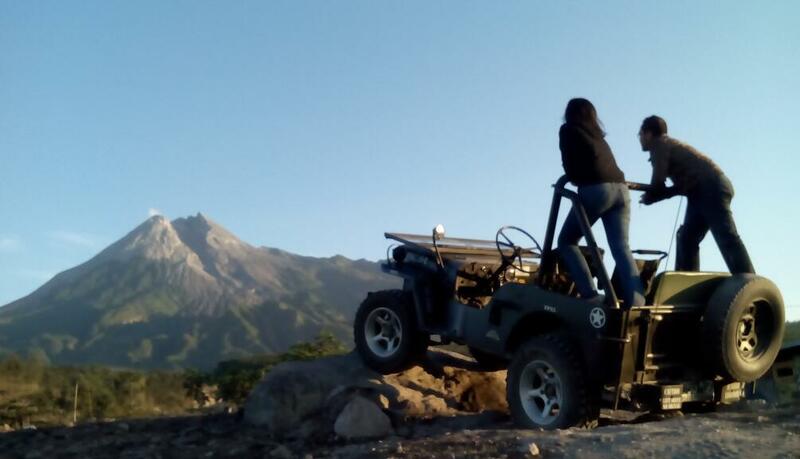 • Mount Merapi: Known as the most active volcanoes in Indonesia, hiking this mountain is a lot of fun and challenge. You can consider overnight hiking to watch sunrise from the peak of this mountain. • Mount Merbabu: Heading to the southern part of Yogyakarta, there is Mount Merbabu that can be another best choice for a breathtaking hiking experience. • Mount Lawu: Popular for its beautiful Edelweiss flower park on its summit, hiking the Mount Lawu must be a great experience too! Yogyakarta is also well-known for its selection of wonderful beaches which will be disappointing to miss. Here are some of the best beaches that you can explore. • Timang Beach: For relaxing and breathtaking experience in Yogyakarta, visiting this beautiful beach will be perfect. It is popular as one of the best photo spots in the city. • Krakal Beach: Do you want to enjoy a view of beautiful coral reefs and sandy beach? Then, Krakal can be the best choice around. • Goa Cemara Beach: Those who want to enjoy Yogyakarta beach from different angle will bless this place, for sure. So, have you found any interesting thing to do in Yogyakarta from the list above? If you got interested to join a Jogja sharing tour or private tour to enjoy all the promising experience above, www.jogjabromotour.com will be the best place to visit before your trip. Have fun!